Davidson, Dawson & Clark LLP has long been recognized as one of the leading Trusts and Estates firms in the New York metropolitan area. For more than 60 years we have assisted clients and their families with wealth transfer, tax planning and philanthropy. We provide active and personalized counsel, and we handle clients’ affairs with sensitivity and discretion. The firm’s strength derives from its depth of experience and its singular focus. Because all of our attorneys practice in the Trusts and Estates area, we have a wealth of knowledge and practical experience. Each client may have a personal attorney at Davidson, Dawson, but every client is a client of the firm and benefits from all of its capabilities. As the largest Trusts and Estates boutique in the metropolitan area, we offer important advantages, including highly trained personnel and stability for the long term. We are large enough to handle the most sophisticated matters, yet small enough to provide personal attention to every client. Although our approach to client service is traditional, our resources are thoroughly modern. Our information technology is up to date and customized for our Trusts and Estates practice. 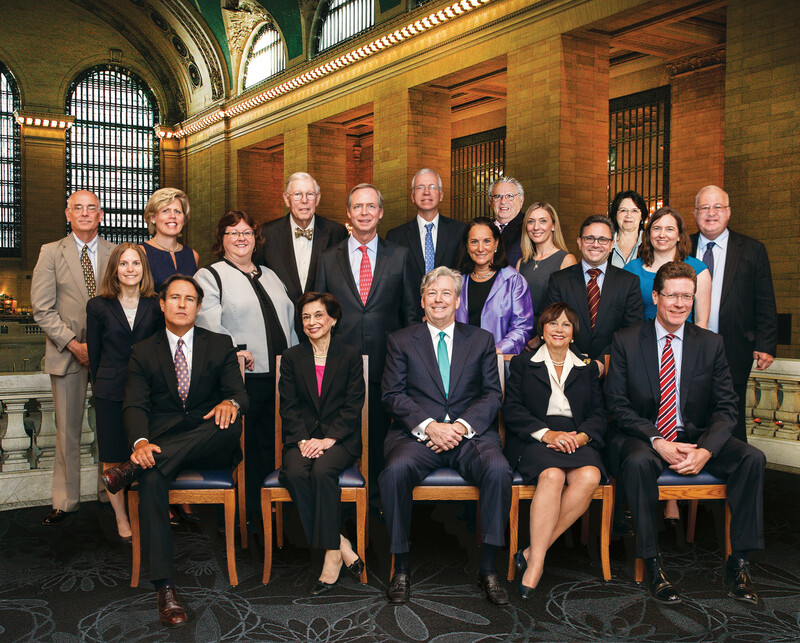 While the firm’s size is an advantage, our individual lawyers are our greatest asset. We keep abreast of the frequently changing estate and gift tax laws, lecture and write on Trusts and Estates topics and regularly participate in seminars on cutting edge issues. Many of our lawyers are members of the American College of Trust & Estate Counsel, are rated “AV Preëminent” by the Martindale-Hubbell legal directory, or have been recognized for their expertise by peer review publications such as “New York Super Lawyers®” and “Best Lawyers in America®.” A number have Master’s degrees in taxation, and almost all are active in professional organizations and in their communities. We serve as counsel to, and as board members of, a wide variety of charitable institutions and civic organizations in New York and Connecticut. Davidson, Dawson attorneys serve on the professional advisory committees of such institutions as the Metropolitan Museum of Art, the Museum of Modern Art, the New York Public Library, the New York City Ballet, Memorial Sloan-Kettering Cancer Center, The Rockefeller University and the Central Park Conservancy. OUR OFFICES are in Manhattan and Connecticut. Members of the firm are also admitted to practice in Florida and Massachusetts. We work closely with leading law firms and other professionals, nationally and internationally, in other jurisdictions and fields of law.